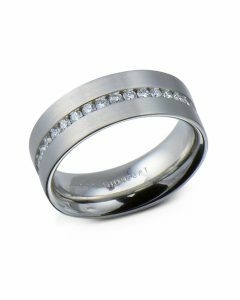 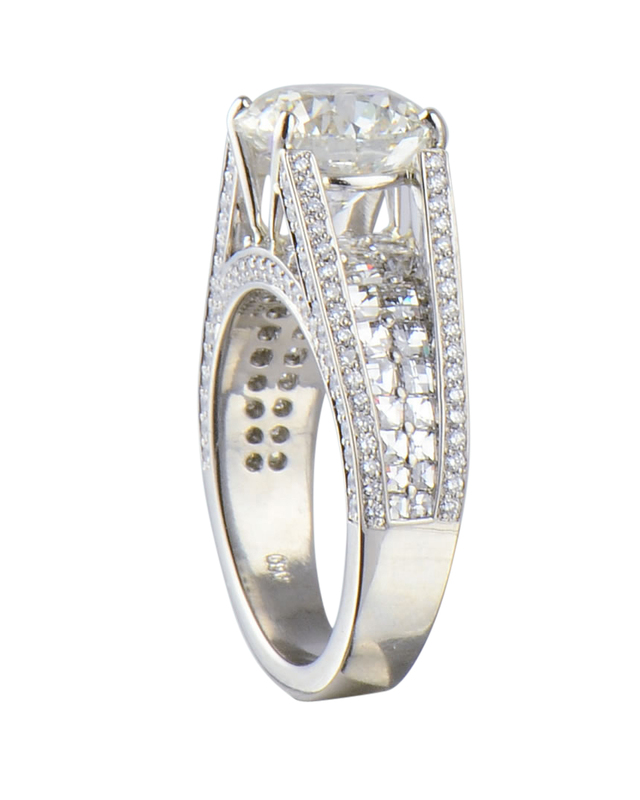 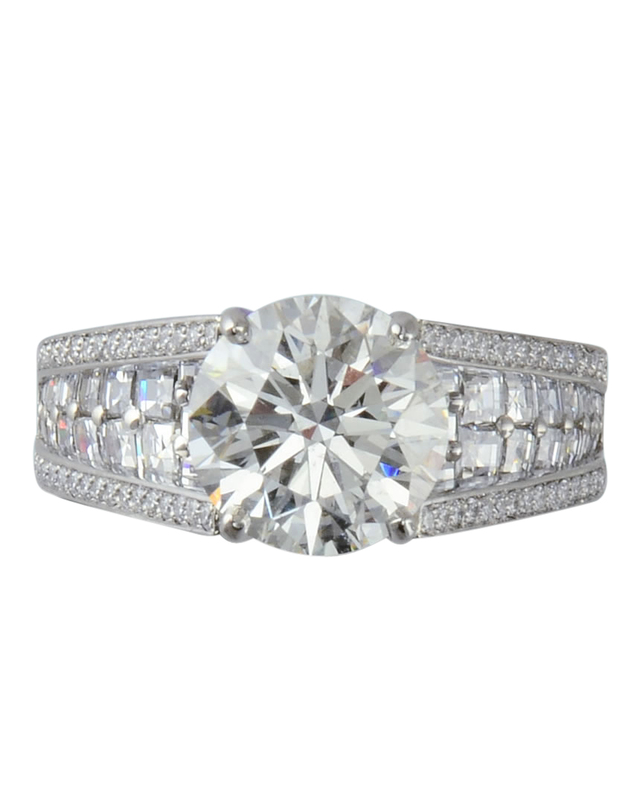 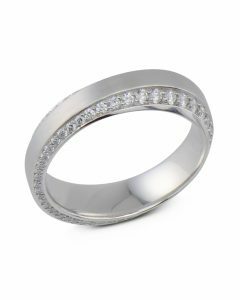 Round brilliant cut diamond set in platinum with 2 row blaze-cut and round diamonds. 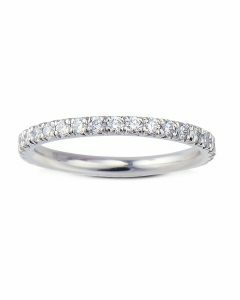 3.20 carat round brilliant cut diamond with 43 Blaze-cut diamonds (F/G-color and VVS/VS-clarity) weighing 1.57 carats and 154 round brilliant cut diamonds (F-G-color and VS-clarity) weighing 0.61 carats. 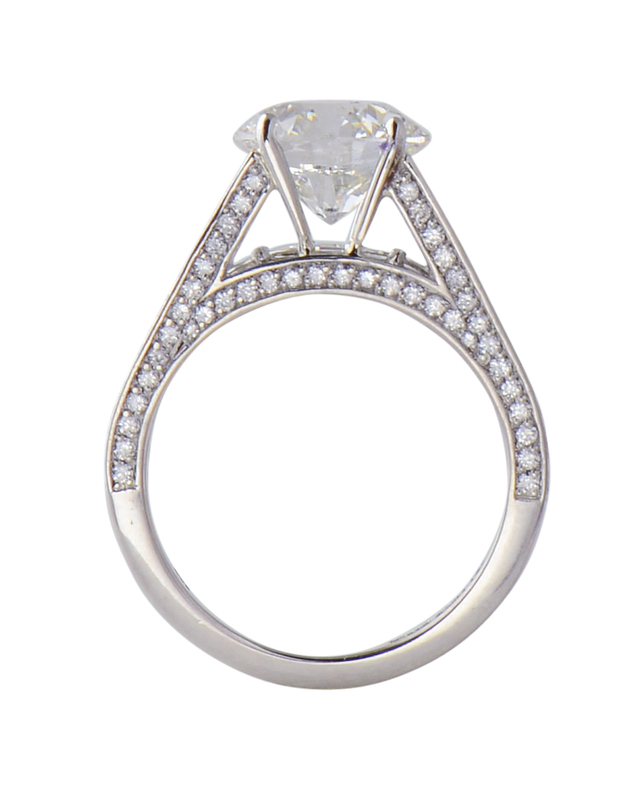 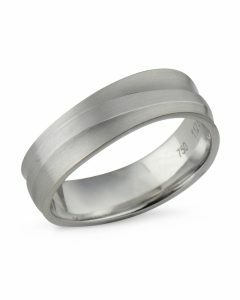 Price is for mounting only and will vary depending on the size of the center diamond.